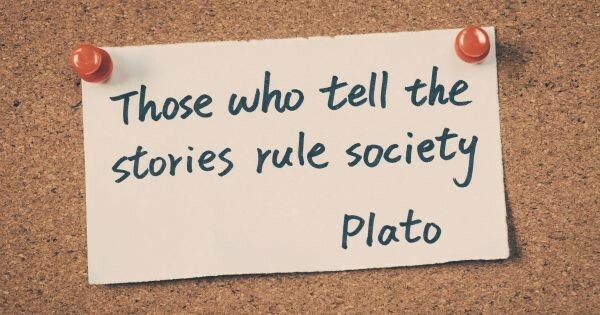 How To Maximise The Impact Of Your Testimonials [HINT: Storytelling]. Testimonials and case studies aren’t exactly something new. They’ve been knocking around for as long as products/services have been advertised. But only now, in the digital age, where most markets are completely saturated with BS “experts” and money-grabbers, are they becoming one of the most powerful marketing tools that you can use. By using testimonials/case studies in your customer journey, you can instantly address common objections, build authority and most importantly, increase your chances of winning a customer. Most businesses get their testimonials completely wrong. They usually end up publishing a quote from a customer that’s sharing their thoughts/feelings on their product/service. Which does the basic job – but if you really want to maximise your testimonials power, then I’m going to share with you the four-step story-telling structure. Firstly, there are text testimonials – this is where the happy client shares a bit of information, generally about how happy they are with your business. Video is far more engaging and sharable, it’s also perfectly suited for this type of content. To actually see and hear somebody, makes everything more real and feel more genuine. And let’s be honest with each other, how often do you see somebody with a website full of testimonials from their friends? Video goes far beyond the emotional strings that written testimonials can produce, by hearing somebody tell others how much they love your business and how it directly helped them holds huge weight. Sure, you could shoot a customer sharing how great your product is and how much they loved working with you – it’s a start – but if I’m honest, it’s not particularly exciting and it doesn’t create your audiences trust. Want To Know How To Maximise Results? Your video testimonial should tell a story. We’re conditioned from childhood to love stories, once we know a beginning and learn about a character, we must know what happens next. We love plots and we love the escapism that are attached to them. But like any good story, the hook and beginning is critical. It must have a strong plot (beginning, middle and end) AND it must have an emotional connection for your viewer. So, Let’s Look At The Four-Step Structure To Creating Powerful Testimonial Videos. Places & Purpose are what you commonly see in most testimonial videos now. They mention what they bought, and what they thought of it. But in order to genuinely maximise the power of your testimonial, you need to focus on People & Plot. First, let’s start at the top. I can’t stress how important that actual people in your testimonial are and how often this step is overlooked. Well, I’m not asking them to be Russell Brand or Gary Vaynerchuk – all you need to do is include information about their desire and motives. What’s their big underlying goal – far beyond purchasing your product/service. If you’re a marketing consultant, what’s the real reason that the client wants to increase their profits? Maybe it’s for his/her family, maybe he has ill family that he/she has to take care of OR maybe he/she heavily donates to a charity. These are the things that will make your character feel real, three-dimensional and build a bond with the viewer. If you want to keep your viewer engaged, they need to like/care about the character (which we’ve covered) and there must be a plot to the story. Very simple … beginning, middle and end. But there’s a big secret to getting this right, do you want to know what it is? Think about your favourite films or books, the beginning always has some form of conflict. It glues you in, you want to see the character turn round the odds and get the girl/boy, win the big event or overcome their struggles, don’t you? Your story has to be the same. Now, conflict isn’t difficult to find – if you solve a problem as a business, then you’ll find that the client has struggles that you’ve fixed. Maybe it’s a problem with his/her marketing; maybe they has a weight issues or maybe they had relationship problems. They had a big hairy pain that you have fixed. The conflict part of your video needs to discuss these issues – which “kills two birds with one stone” – as it opens up the plot AND it builds the character. You then move into the middle of the story when the character was introduced to your product/services and how they found working with you and then the ending of how they feel now that you’ve helped them. By simply focussing on this plot and building your characters personality – your video testimonials will be much more powerful and engaging for your viewers. Once you have your video created – you then have to get it in the face of your audience. A powerful testimonial video has the power of turning a cold audience into a hot one – it’s how many high-ticket consultants win their clients. This is where Facebook Video Ads work perfectly. By identifying your audience – which could be site visitors, people on your current list or completely cold – and putting the video in front of them – you can get them to watch your strong message. The best part is, you can build a further Custom Audience of people that have watched the video – which will allow you to retarget them on a much higher level. You could put point your testimonial video at your ideal target market through Facebook Video Ads. Then you could point an advert at the people that watched the testimonial video, that pushes them to book a call with you. If a viewer can relate to the pains and see the transformation in the video, you’ll bet that they’ll book a call with you. Probably the easiest way to generate consultation calls with people that need your product/service.